I can’t remember what grade it was, but some teacher long ago taught me a valuable lesson. In fact, this lesson was so memorable I’m sure many other teachers have used it. I definitely know this was a grade school class, back in the days we only a handful of people knew how to program computers, so this was definitely not pertaining to the subject of coding digital devices. But it could have been. It’s a lesson every single technical writer must learn if he wants to keep his job. You know what I’m talking about. How many of you have bought a kit of unassembled furniture, brimming with confidence you’ve outwitted Ruby Gordon (a popular furniture store that delivers ready-to-use products right to your door step). You open the box, dutifully sort all the pieces, and boldly open the instruction to begin the rest of your afternoon. By early evening, your frustration exasperated by a delayed dinner, you suddenly realize why pre-assembly X doesn’t “gently fit” into Part #28476. There’s a vital step missing from (at least the English portion of) that multi-fold set of instructions. That’s just one example of bad technical writing. Computer programmers (a more refined sort of “technical” writing) live and die by the dilemma of the missing line. This is what debugging is all about. In the above example, no one “debugged” the instruction manual. Debugging is not something to look down on. It is a skill everyone should learn, not just computer programmers. It is so elevated in stature that computer teachers will often purposely present “buggy” code to students and have them “find the missing line.” The best computer teachers do this furtively, presenting a “complete” program to the class that “unexpected” fails to compile (that’s “work” for you non-computer types). The teacher then pretends he can’t find the bug and waits for the brightest student to discover it first. Obviously my teacher of days gone by didn’t have the magic of Lego Robots to demonstrate his powerful warning. No, his pallet was more limited. At the same time, it was also more universal. The precise sequence of events lay on the barely reachable edge of my memory, but here’s a close approximation of what happened. The discussion started with a simple declarative: We all eat lunch. The entire class agreed with this premise. From there the instructor shepherded us into a narrowing funnel of conversational dialog that would set us up to forever remember one of the most important exercises we’d ever be taught. Get peanut butter, jelly, bread, and a butter knife. Take the knife and spread peanut butter on the side of one slice of bread. Take the knife and spread jelly on the side of another slice of bread. Put the two slices of bread together so the peanut butter and jelly are on the inside of the sandwich. That sounds right. I’m sure you’d agree. Well, what the teacher did next made all the difference in the world. From a bag behind his desk, he pulled out a jar of peanut butter, a jar of jelly, a loaf of bread, and a butter knife. He collected each student’s paragraph, stacked them in a pile, and then asked random students to come to his desk and make a peanut butter and jelly sandwich based on the instructions written in one of those paragraphs. Student after student, paragraph after paragraph, the teacher told them they failed. We thought this was just a fun afterthought the teacher thought of just kill time. It wasn’t. Now we began to worry. Finally, the teacher told us we’d all pass if someone knew what each set of instructions forgot to include. We pondered, too comfortable in our “inside-the-box” thinking. After several murmured attempts to guess the correct answer, it suddenly dawn upon me – we never opened the jar of peanut butter! How could the knife scoop up the peanut butter if the lid was still on! The fact that I’m writing this today proves how compelling – and unforgettable – this lesson was. 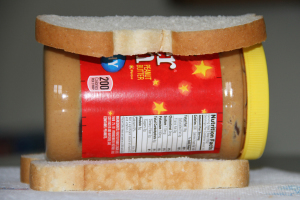 It helped that the teacher ended up putting the jar of peanut butter between two slices of bread. Maybe that visible helped me remember the lesson. The idea of knowing not just the strategic objective (making a peanut butter jelly sandwich), but also the strategic components (opening the jar of peanut butter) remains an imperative every successful business executive, entrepreneur, and organization leader fully embraces. And, to think, for all those MBA classes I took, this single most important lesson was learned in elementary school. So, as you enjoy the ventures of your own life’s journey, don’t forget to always open the peanut butter jar first. And, while you’re at it, remember to also open the loaf of bread, too.